We know you love to see live examples of campaigns that are using Votigo’s technology, since they are the easiest way to understand how our platform works. They’re also great for inspiration as you start planning YOUR next campaign! Today, we’re sharing two different examples of brands that are both using Votigo’s Personality Quiz application to create a rich engagement opportunity with their audience. 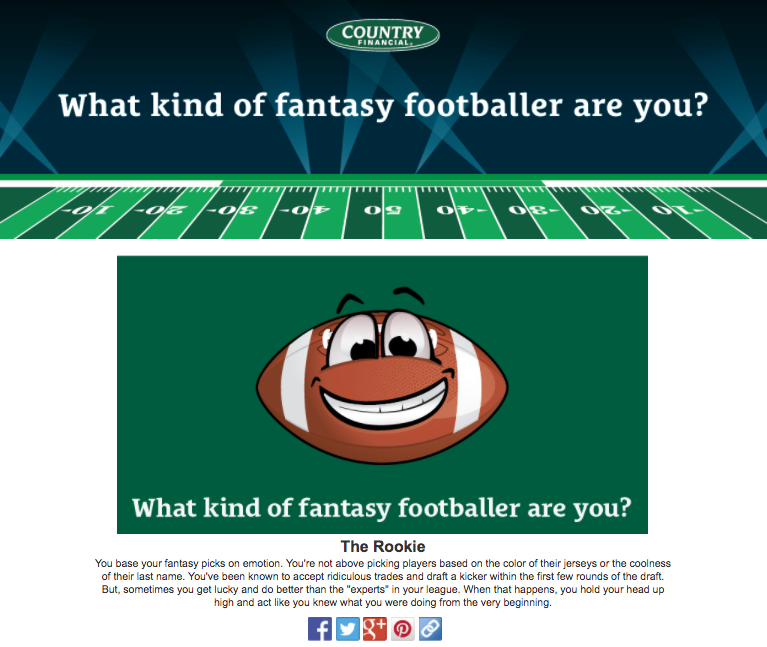 The quiz application allows you to invite your fans to engage with your brand on a deep, 2-way conversation level. This results in a qualified interaction that is extremely valuable from a customer retention and brand affinity standpoint. At the end of the user experience of a Personality Quiz, participants are often invited to share their results with their social networks. This is a great tool to use in order to drive campaign and brand awareness, as all the people reached in the context of that social share are then made aware of the promotion! Interested in learning more about Personality Quizzes in particular, or any of our other campaign offerings? Click here to chat with one of our Account Representatives.